Expect to see archive interviews with ground-breaking musicians like Brian Eno, Frank Zappa and Jaco Pastorius; synthesizer icons such as Wendy Carlos, Bog Moog, Phil Oakey from Human League and Joe Zawinul; guitarists Adrian Belew and Mike Oldfield, and maybe even some sound-bites from the designers of album sleeves for Yes and Pink Floyd, Roger Dean and Hypgnosis! 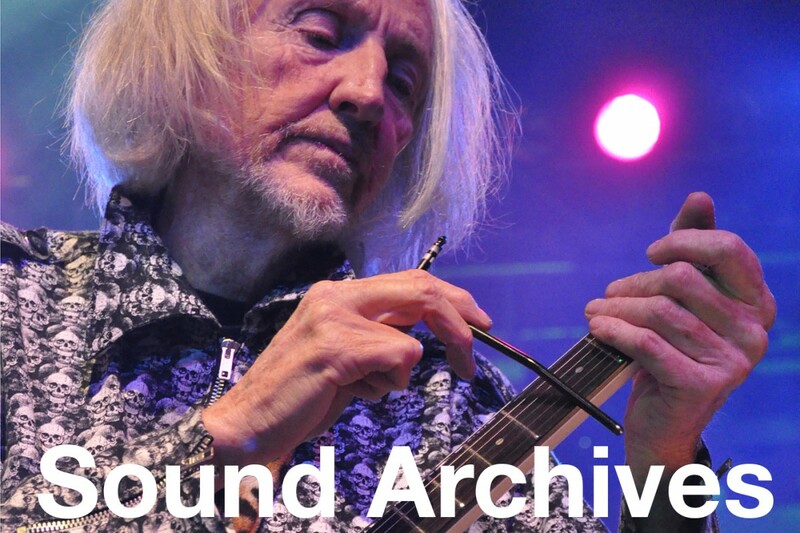 Many of the Interviews will be available as Podcasts, starting with Gong’s Daevid Allen. SoundArchives is presented by Clive Williamson – who was a free-lance radio journalist from 1976 – 1984 – and now produces music for relaxation, healing and soundtracks with the group Symbiosis.